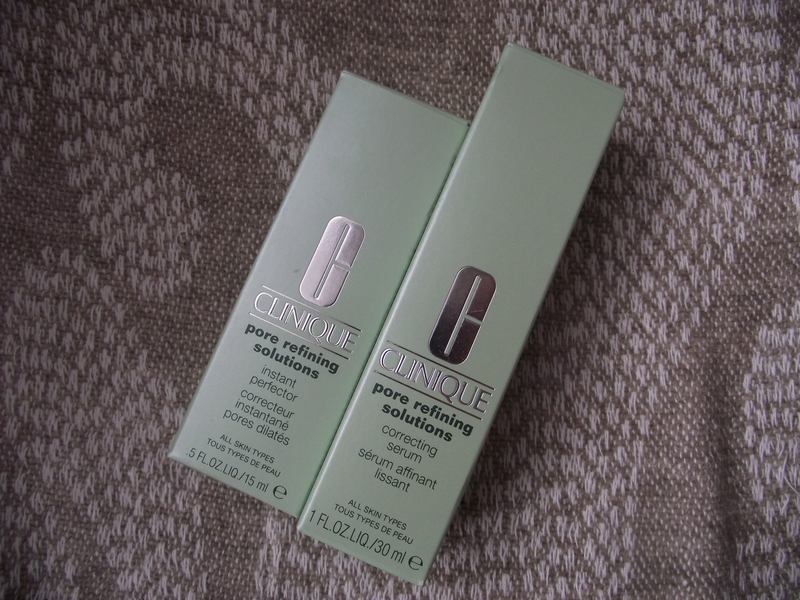 Clinique's Pore Refining Solutions consist of 2 new products which claim to help minimise and reduce the appearance of pores. If you follow my blog then you will know I hate my pores, I have medium sized pores on my nose which I hate. Believe it or not I had terrible skin as a teenager and so I have always been a little conscious of them. I also have pores on my chin which is a very common place, do you have any pores which you don't like? I've tried the nose strips but to be honest they don't really do much or make a great difference, so any kind of treatment always interests me. The Instant Perfector instantly reduces pore size by over 50% helping to balance sebum and leave the skin silky soft and matte. I couldn't believe how good this product is, I took photos of the formula and then a close up showing you how this looks on the skin. In the last photo can you see which side of my hand has the Instant Perfector on? This feels so light on the skin and not clogging at all, I've only been using this on my nose and chin which are my problem areas. Instant Perfector is available in 3 shades, Invisible Bright, Invisible Light and Invisible Deep. I have Invisible Light and this is perfect for my skin tone, ha ha 'PERFECT' being the key word here! 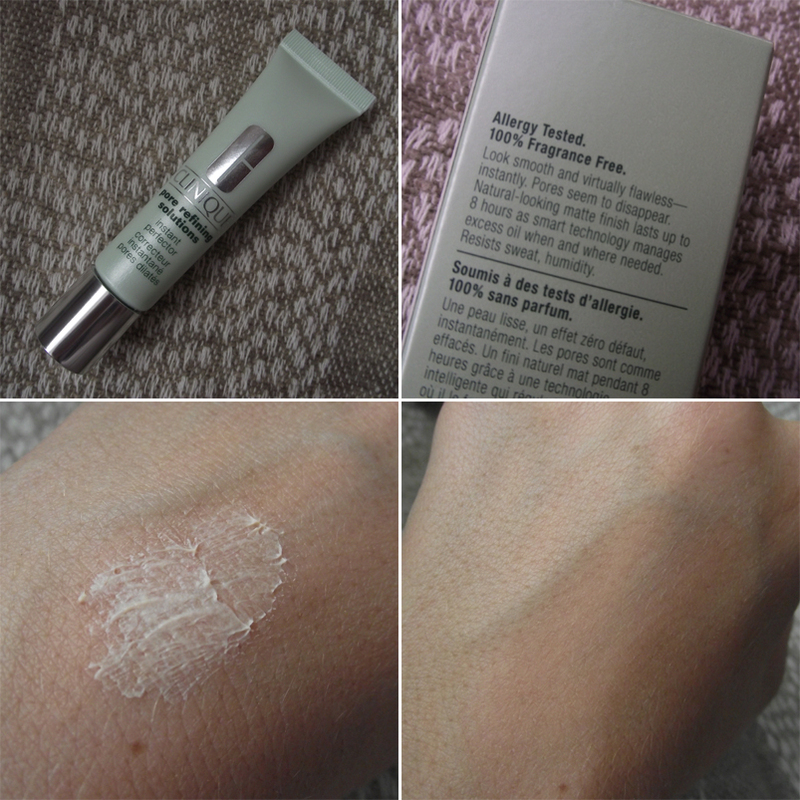 The texture feels creamy at first contact but once applied to the skin the texture resembles a silky veil which feels lovely.You only need a very small amount, believe me when I say a little goes a long way so this should last a fair few months. This advanced, long-wearing formula conceals without adding colour to the complexion, and can be worn under or over foundation, with just powder, or alone. It can be used over the whole face or just in the t-zone and can be reapplied as needed throughout the day for touch-ups. Instant Perfector retails at £18.00 for 15ml. Clinique claim the Correcting Serum the appearance of pores is reduced by 58% in just 2 weeks, I can personally say I have been using the serum for 3 weeks now and am just starting to see a difference which is great. Obviously everyone skin is different so some people may well see a difference in 2 weeks but for me I would say I am only just seeing a difference now. I am hoping the results will continue to impress me, I use this morning and evening just on my nose and shin areas. The Correcting Serum can be used all over the face or just on areas with visible pores. Apply a thin layer to clean skin (avoiding the eye area) both morning and night, followed by a moisturiser of choice. The Pore Refining Solutions is available nationwide as from today 5th August so check them out! Thanks for reading and have a fab Friday! hi.what is difference between them.and which one is better :) ?